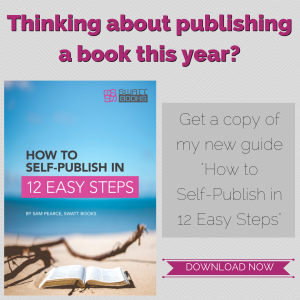 What were you doing for book design prior to working with me? Before we started to work with you I had been evaluating the number of other freelance designers on Upwork. I was surprised at the poor quality of the portfolios. I evaluated nearly 100 different designers, and I didn’t have the confidence that they could really do the professional level job that we wanted to have done. Summarise three points of frustration you faced? The biggest frustration I had was how difficult it was to find a designer who could produce the level of professional design that I wanted to have done. We wanted this book to look like a best‐selling technical book, and most of the designers I talked to had a portfolio of trade paperbacks that look like they’d been created in Microsoft Word (which they probably had). Their communication skills were poor, the layouts generally looked amateurish, and I wasn’t confident that they could deliver on our tight deadline with such a big book launch on the line. What was the big “a‐ha” moment when you realised that you needed a professional book designer? We realize right from the start that we wanted have our book professionally designed. Both John and I have experience working with publishers and in the publishing industry so we knew that it was worth hiring a professional. How did you hear about my service? I found you on Upwork when you applied for the contract I posted for a book designer. Right away you jumped out to me because of the strength of your portfolio and your background working with major book publishers. Why did you choose me over other design options? First of all your portfolio stood out as one of the best that I saw. You also had experience laying out books that were somewhat technical nature and making them look very professional and polished. I was also impressed with your past experience working with publishing houses as an in‐house designer doing book production. To be honest it was a bit of work to convince my business partner John to go with you because you were among the most expensive options that we were considering, but based on these factors I was convinced that you could deliver what we wanted and meet the deadlines that we had for this project. Describe your experiences working with me? The process of working with you was excellent from start to finish. Even though that the time difference of five hours made it a little awkward sometimes to get changes back to you quickly and I found that you were extremely responsive. You also took feedback well. I’ve worked with other designers who had a “my way or the highway” attitude toward their clients and refuse to modify their designs. The way that we are able to collaborate resulted in a better finished product. Your communication throughout the whole process was excellent which greatly increase my confidence since we had such a tight deadline. And even though there were some hiccups along the way (like when your computer died) I always felt like I knew where you were and whether we were on track to meet the deadline. I felt like you made our project a priority and I knew you would do whatever it took to get it done on time. What element of my service do you feel helped you the most? For both me and John here at Simple Programmer we highly value communication. When we hire a contractor to work on a project we do not want to have to have to babysit contractor and keep checking in on them to see how things are going. We want to give the project to someone, have them keep us up to date on it, and then see it delivered on time by the deadline. That is the experience that you provided with this project. How does my service differ from other designers you have worked with in the past? In my experience designers are all over the map, both in terms of their skill level and their ability to manage a large project. Most of the designers that I have hired through sites like Upwork have been frankly mediocre in their designs and completely unreliable when it comes to actually finishing the project. You are a shining exception to this trend. What was your initial reaction when you received your finished books? I asked you at first to do just the table of contents in one chapter from the book as a test. I was evaluating five or 10 designers on Upwork to see what they would do with the project. When I got the first set of proofs back from you I was feeling a little anxious. You were quoting a high price for the project, and I’d be lobbying my business partner to hire you anyway. I had been extremely disappointed with the other designs that I’ve seen from the other designers I was evaluating, and I was anticipating another letdown here. Instead when I open the PDFs I broke into a big grin. I zoomed out on the PDF and just looked at it as if I was looking at it from across the room, and I said to myself “THIS looks like a best‐selling book.” Your design had a level of polish and cleanness to it that none of the other designers had. When I sent them to my business partner he was immediately sold and we decided to hire you on the spot. How many books have you sold so far? 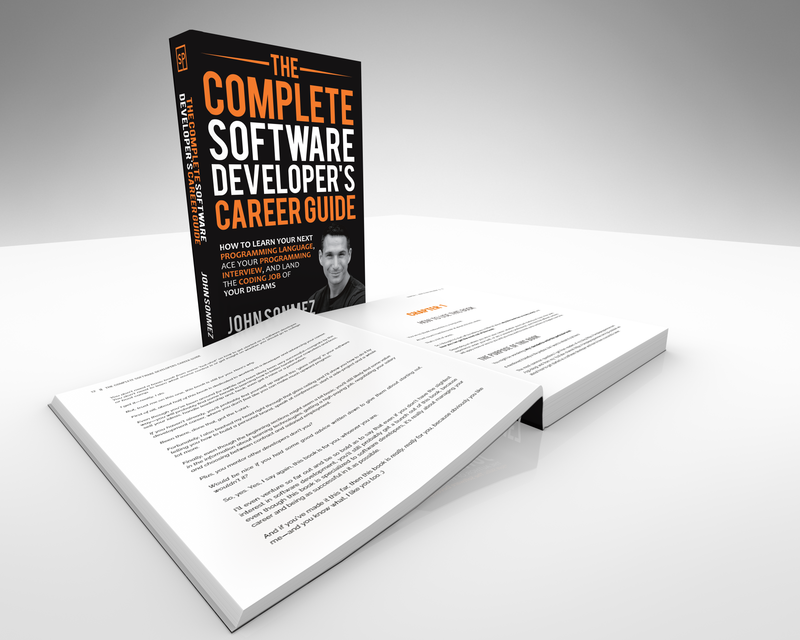 You did both a Kindle version and a print version of our book, which is called The Complete Software Developer’s Career Guide. We launch the book in July 2017 which as of right now is about nine months ago. During the launch we sold more than 10,000 copies, and the book hit the number five slot on the Wall Street Journal’s bestseller list for electronic nonfiction, and hit number 16 on Amazon Charts the week that it launched. As of today the book has sold at least 20,000 copies and has been downloaded tens of thousands of times through the Kindle unlimited program. What has been the general reaction of your readers to the book? The book has been very well received by our audience. It continues to sell well on Amazon, ranking in the top books in the big software development categories. Today we have received over 400 reviews, and have an Amazon rating of 4.7 stars. How much of that success would you attribute to the design? One comment that I’ve seen over and over in our reviews on Amazon and in emails from our readers is how fun and easy the book is to read. I attribute this to the clean, open design that Sam created, which nicely complements John’s personal friendly writing style. What 3 words would you use to describe your experience working with me? 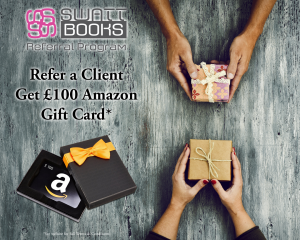 What is the single biggest reason you would recommend my service? It’s hard to pick just one reason. It’s a combination of strong, professional design skills, scrupulous attention to detail, constant communication, and a drive to do what it takes to get the job done.